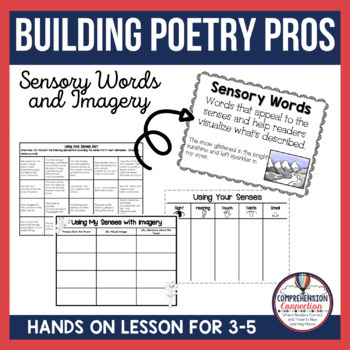 Poetry can be used for so many skills we teach...fluency, concept of word, visualizing, rhyme, comprehension skills, vocabulary, and figurative language to name a few. 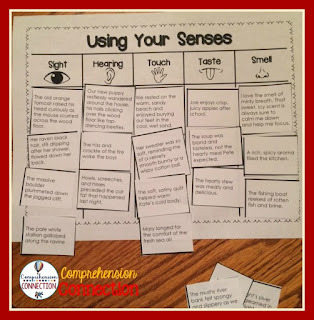 In Virginia, one of our standards focuses on using sensory words to create imagery. Well, to meet this standard, students have a few subskills to grasp first. Today, I'd like to share my plan with you using one of Shel Silverstein's poems. 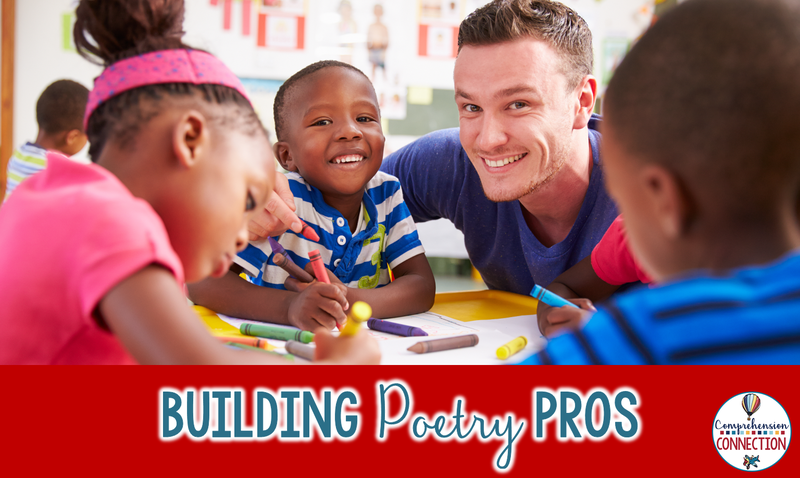 One great thing with poetry lessons is that we have wonderful poems to use for modeling from greats like Shel Silverstein, Jack Prelutsky, and Brod Bagert, but also more serious poets like Walt Whitman and Emily Dickenson. To begin, I shared with my students the Sensory Words Anchor Chart in the image to the left. We discussed the examples on it and inserted it into our interactive notebooks. Then, we brainstormed examples of sensory words by sense. (and I apologize for not taking a photo of my whiteboard) The list they generated was fantastic. With my groups, I often use anchor charts for introduction. They provide the focus for deeper discussion which really helps my students understand and use what they've learned. I have my kids put printable anchor charts like this in their interactive notebooks for reference later, and we follow that with examples and practice. This sort worked well for my group to model which words in the descriptions helped them visualize or create that mental image. To download your copy of this sampler, you can click [here] or the image below. The full Building Poetry Pros pack preview is below. 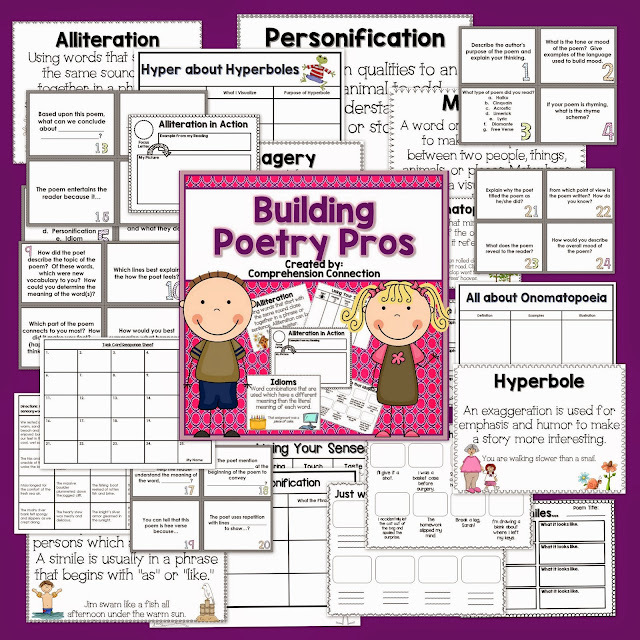 It includes anchor charts and organizers for personification, alliteration, metaphor, simile, imagery, sensory words, onomatopoeia, and hyperbole as well as poetry discussion/analysis task cards. I hope your students come up with dazzling ideas that show how they sparkle and shine. 😁 (Using sensory words here). Want to Read More from These Great Lit Blogs? Click the Thumbnails Below to Follow These Blogs on Bloglovin. 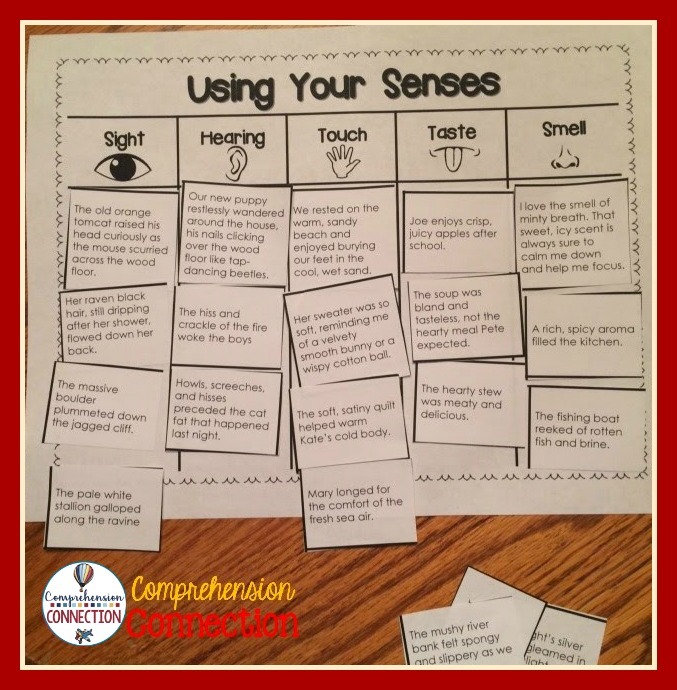 I am definitely going to use your senses sort with some of my class when we get back and are working on descriptions. Thank you for a great resource! I left this feedback on your TpT store, but wanted to share it here too because I so enjoyed your freebie! Ahh...you made my day! What sweet feedback! I hope it works well for them. The mini lesson will remain a freebie, so that will give them a taste of the rest of the unit. I plan to go through poetry books (sometime) and add a bibliography of poems that work well with each skill. Thanks, Carla, for coordinating such a fantastic poetry hop! Picked up several great ideas and connections to teacher stores that offer great stuff for my grade level. Appreciate it! You are very welcome, Robin. I am thrilled too since it will make planning easy for next week! Come back soon! You are very welcome, Kylie. Hope you are doing well. Enjoy the resources. Sorting phrases by the senses is a great idea, I've never actually done that with my kids. Seems simple but it's probably something they'd struggle with in reality! Thank you for the great ideas for using sensory words in poetry and the freebie! And of course, who doesn't like Shel Silverstein?